Be sure to take advantage of your special members-only pricing on these professional licensing and test preparation courses. Becker offers a completely integrated program that maximizes your study and replicates the exam in every way, giving you the greatest chance of passing. Save 20% on The Official Guide to the GRE® revised General Test, Second Edition! BGS members save big on the most authoritative guide to the GRE® revised General Test! It’s everything you need to know about the test, straight from the test maker. Kaplan Schweser and Beta Gamma Sigma have partnered to bring BGS members discounts on CFA®, FRM®, CAIA® and CFP® exam preparation materials. Save up to 15% on Schweser's exam prep and start your career advancement today! Beta Gamma Sigma Members Save With Kaplan Test Prep! 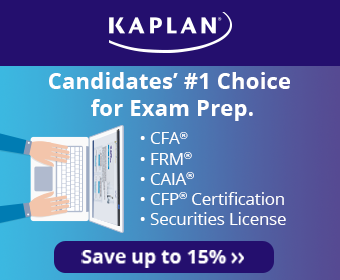 Prepare with Kaplan Test Prep and save 15%* off select Kaplan Test Prep Products (GMAT, GRE, LSAT, MCAT Classroom, Live Online, Premium Online, and Private Tutoring). *Non-transferable. May not be combined with any other offer. Beta Gamma Sigma members receive 15% off classroom courses or $150 off online courses. Prep with The Princeton Review and Save! Beta Gamma Sigma members and family are eligible for the discount benefit on our test preparation programs. Roger CPA Review is a team dedicated to helping students successfully prepare for the CPA Exam. The Roger Method™ is a proven teaching approach in which lectures, texts and practice questions are broken down into micro-structured, highly motivating lessons that simplify difficult concepts while keeping students focused. NOTE: this discount is currently only available for students in the United States. BGS undergrads can receive 10% off the standard GMAT® exam (including 5 score reports) or $100 off the undergraduate GMAT exam (no score reports included). BGS members also get 15% off all Official GMAT Test Prep products. Think GMAT if you mean business!